For the first time in the Texas League semifinal series between Tulsa and Arkansas, a team won consecutive games Sunday. So for the second consecutive year, the Drillers will play for the league's crown. Mitchell White scattered two hits and a pair of walks over seven scoreless frames as Double-A Tulsa came away with a 5-3 victory in the winner-take-all Game 5 at ONEOK Field. "We got just what we thought from him," said Drillers skipper Scott Hennessey. "The guy hasn't been 100 percent all year and credit to him, and his character, and his work ethic to keep grinding and getting in shape. Finally over the last month, he's become more healthy and back to the Mitchell White mold and we needed it." The stars shined brightest for the Drillers on Sunday. White, the seventh-ranked Dodgers prospect, tied a professional best in going seven innings. The 23-year-old right-hander retired the first six hitters he faced and nine of the first 10. He did not surrender a hit until the fourth and retired the side in order four times. "He commanded all three of his pitches, mixed them all well, got ahead in the count all day," Hennessey said. "He also repeated his delivery like he used to. Even more so than his last two or three starts." Los Angeles No. 6 prospect Gavin Lux provided the spark offensively -- going 3-for-5 with a homer, a double, three RBIs and two runs scored. The 20-year-old hit safely in every game in the series and finished 9-for-21. "Luxey played exceptionally well all series," Hennessey said. "He just grinds out at-bats. He doesn't give any away, and for a kid that's 20, to see that at this level is pretty neat to watch. That two-run homer was huge for us. He got a hanging slider down and in and he really did some damage with it." DJ Peters, the No. 8 Dodgers' prospect, plated Lux with the first run of the game via a fielder's choice in the opening frame off righty Williams Perez (0-1). The 22-year-old also capped Tulsa's scoring with a leadoff roundtripper in the sixth on the first pitch he saw from righty Matt Walker. He led the circuit with 29 homers this season. With the tying run at the plate and two outs, right-hander Layne Somsen came on and fanned 21st-ranked Mariners prospect Donnie Walton to end the game and notch his first save of the postseason. 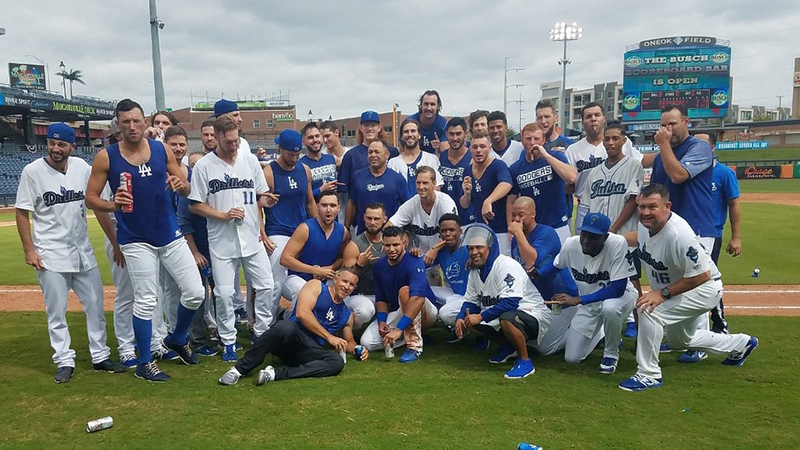 The Drillers will host the first two games of the Championship Series against San Antonio, starting Tuesday. "We're just worried about ourselves right now and happy that we're through," Hennessey said. "It was a tough series we just had and whoever we play next, that's fine. We'll just have to be at our best to win that series."